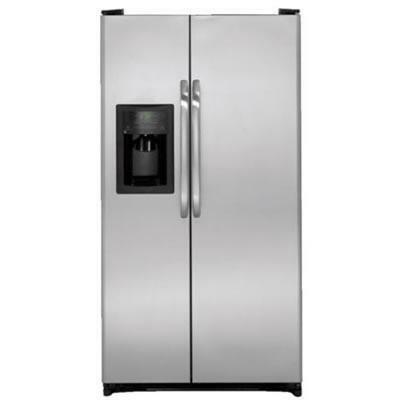 GE Energy Star® 21.9 cu.ft. 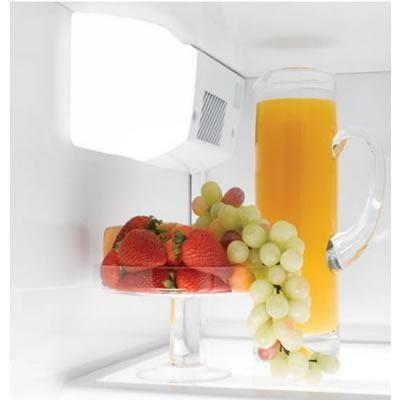 side-by-side refrigerator with dispenser. 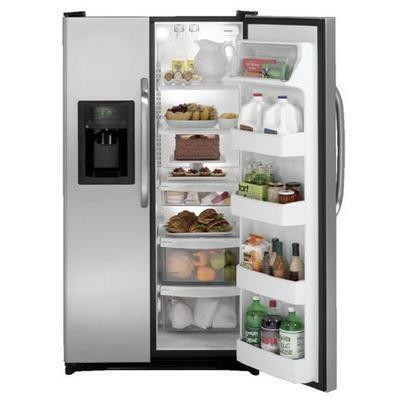 The side-by-side refrigerator features adjustable-temperature drawer to help keep content cold and delicious. Adjustable gallon door bins Offers ideal space for storing gallon containers in the door. The snack drawer conveniently stores favorite foods and allows for quick, easy access. Freezer 7.1 cu. ft. / 0.20 cu. m.
Technologies ClimateGuard System; External temperature controls with child lock and UltraFlow64; Adjustable-humidity drawer; Adjustable-temperature drawer; Adjustable gallon door bins; Door Stops; Coil-Free Back; Rounded Doors; FrostGuard™.